Excellent working knowledge on Photoshop & Dreamweaver. Creating user friendly responsive interfaces & websites using HTML5, CSS, jquery. Good knowledge of responsive design. Strong visualization skills and design sense of colour and layout. 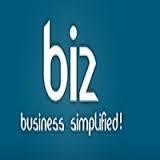 Biz Technologies Pvt. Ltd. is a global information technology platform providing varied consultation and outsourcing services. Integrating enduring experience, valuable knowledge and wide ranging capabilities, we provide IT solutions for numerous industries. Akruli Road, Kandivili (East), Mumbai.